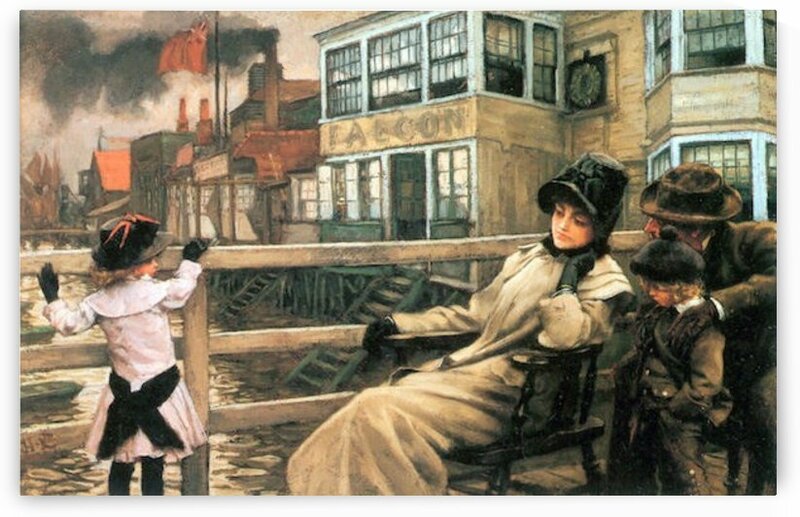 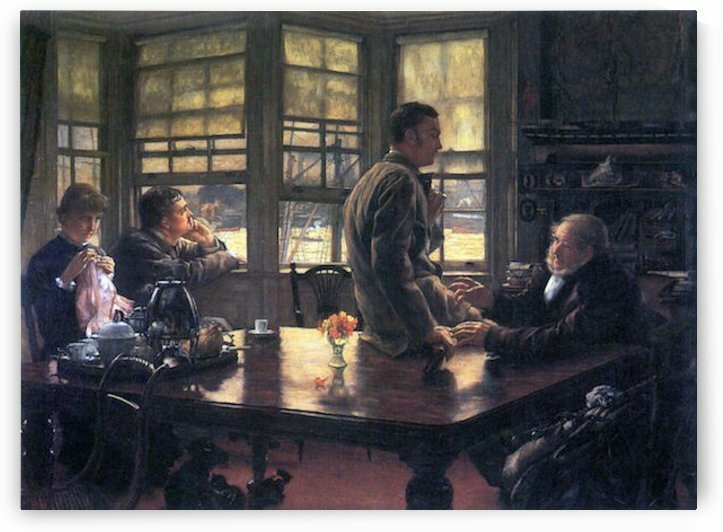 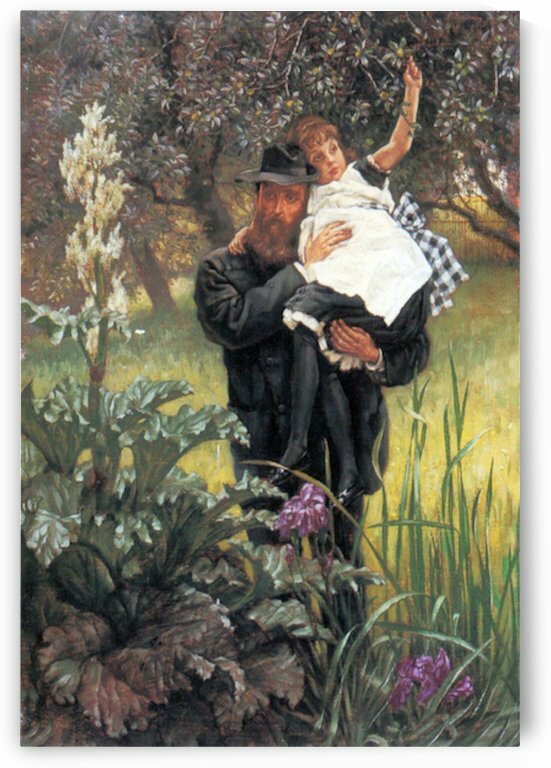 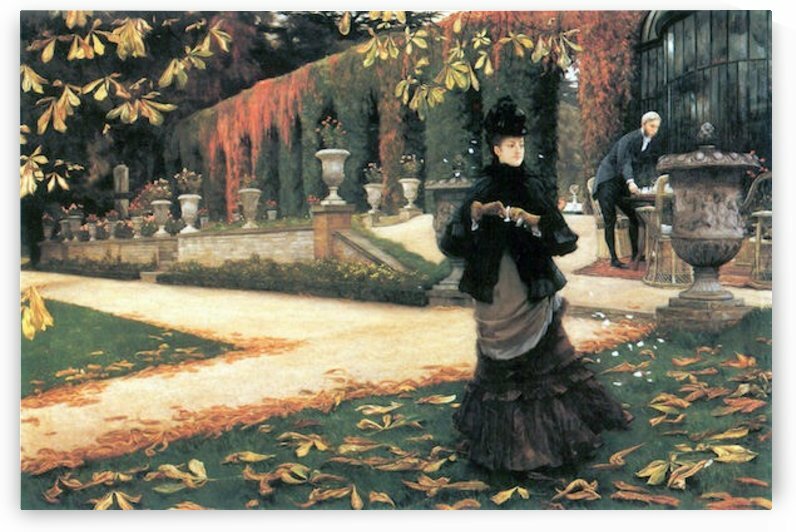 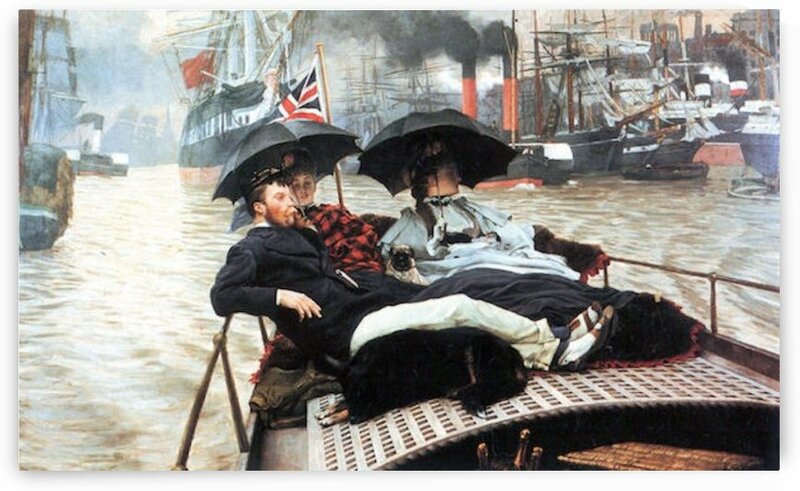 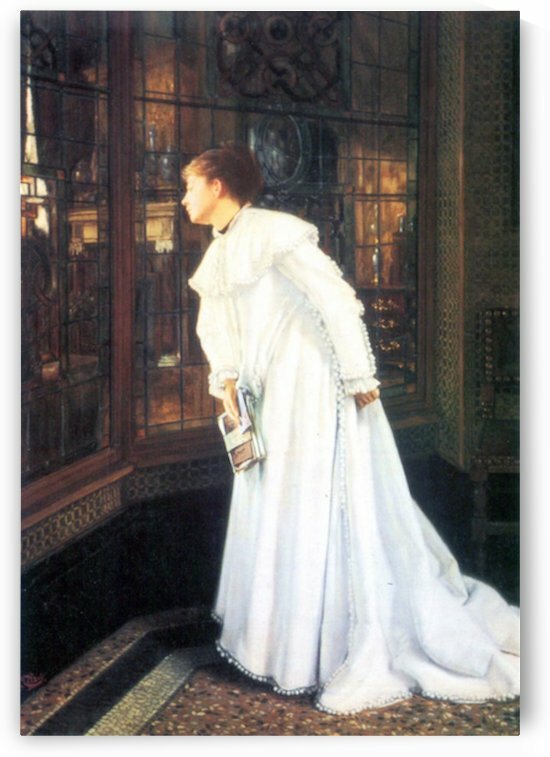 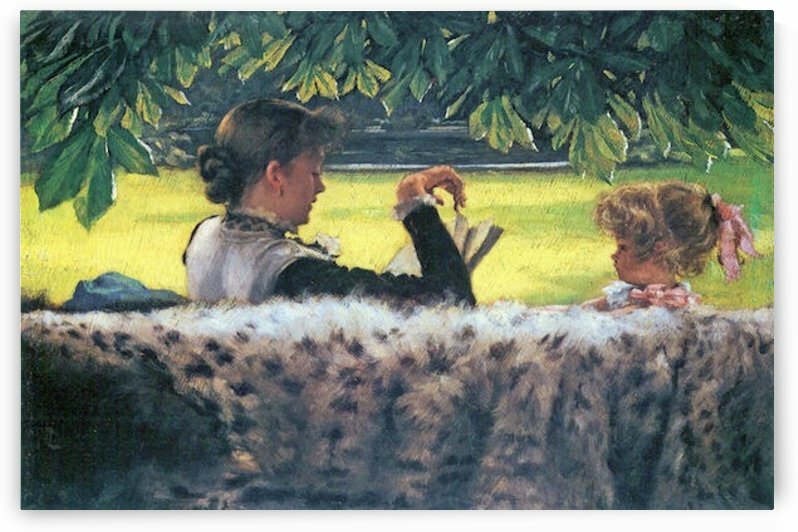 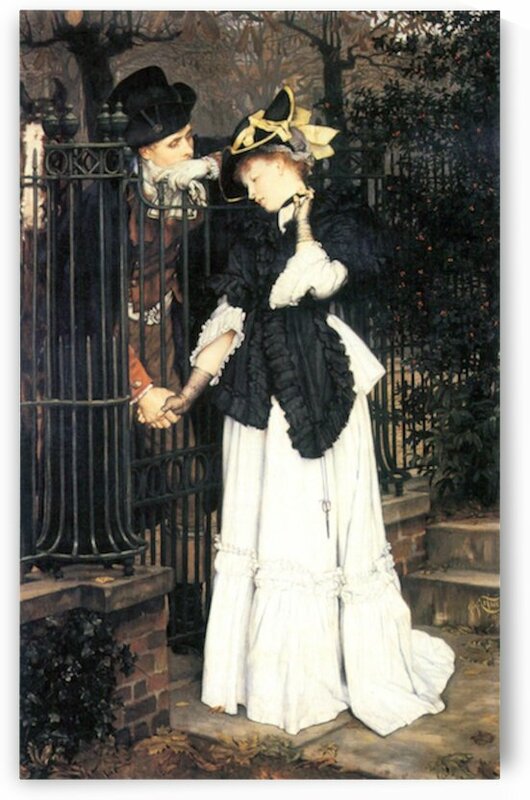 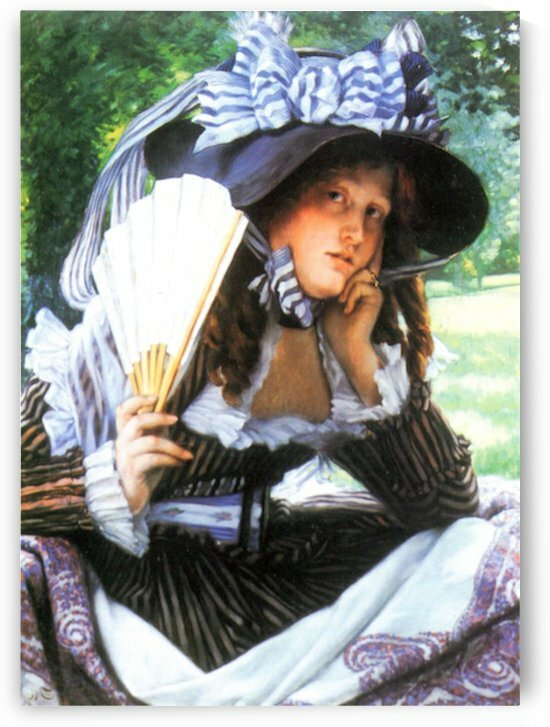 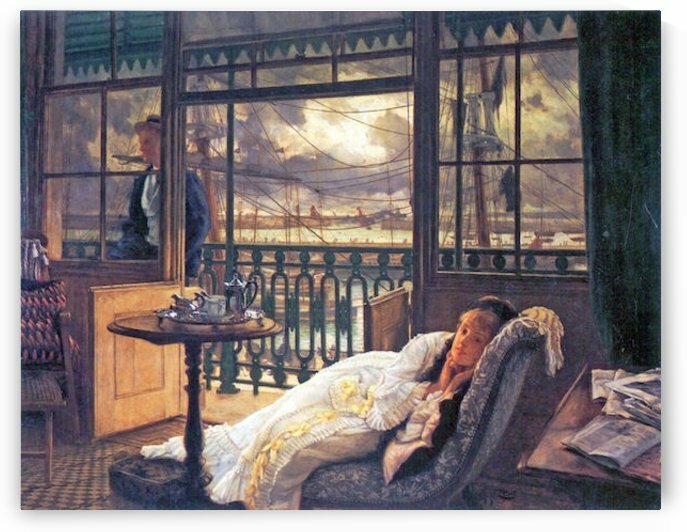 Jacques Joseph Tissot (French: [tiso]; 15 October 1836 – 8 August 1902), Anglicized as James Tissot (/tso/), was a French painter and illustrator. 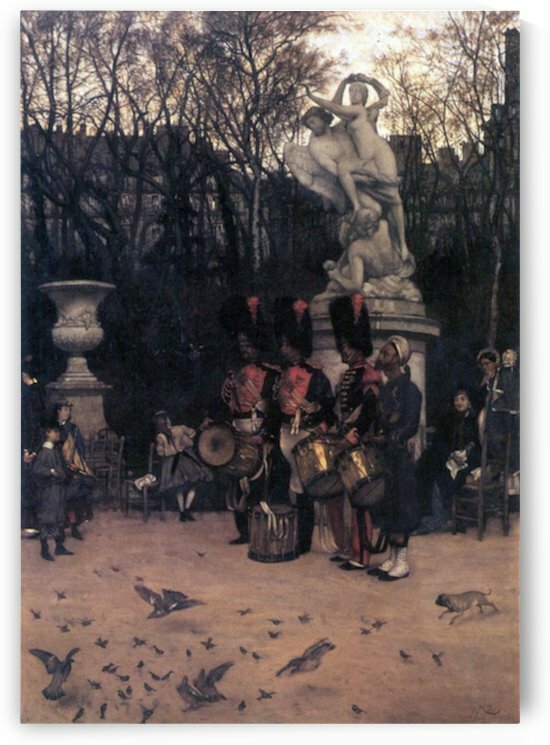 He was a successful painter of Paris society before moving to London in 1871. 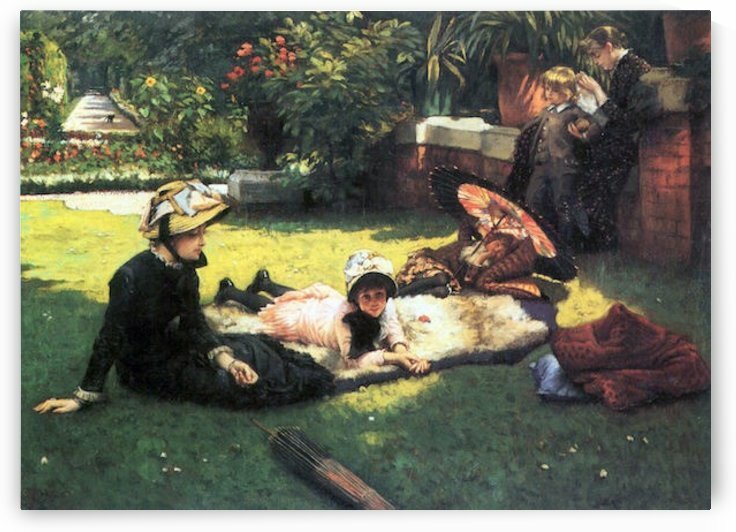 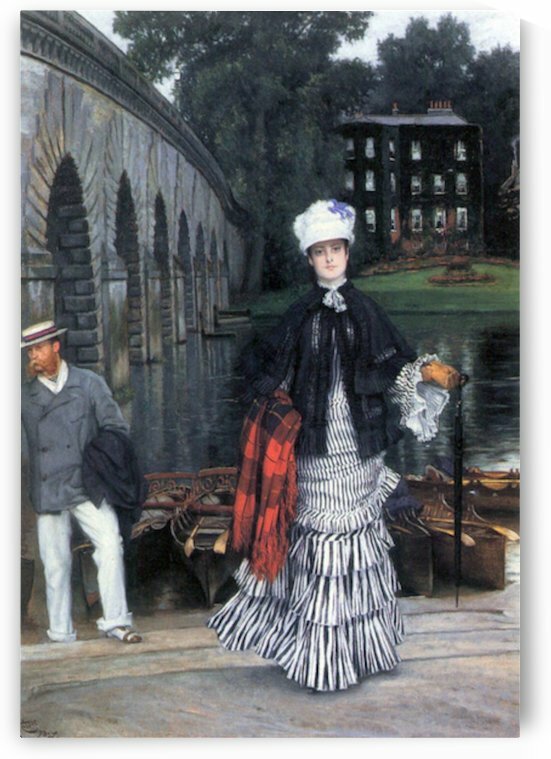 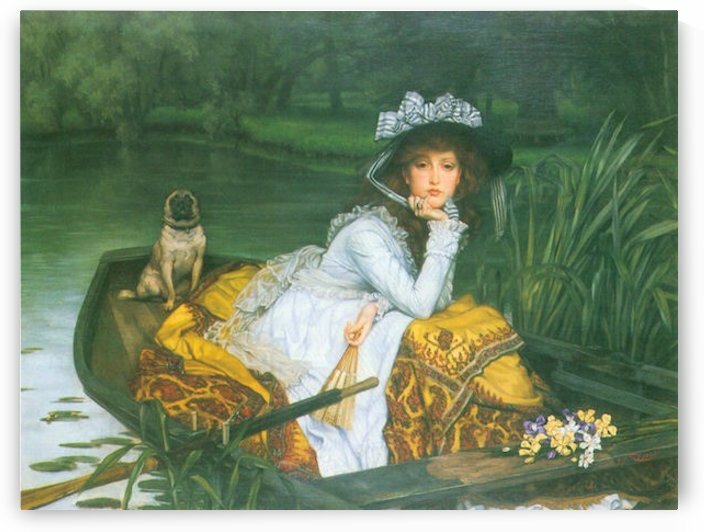 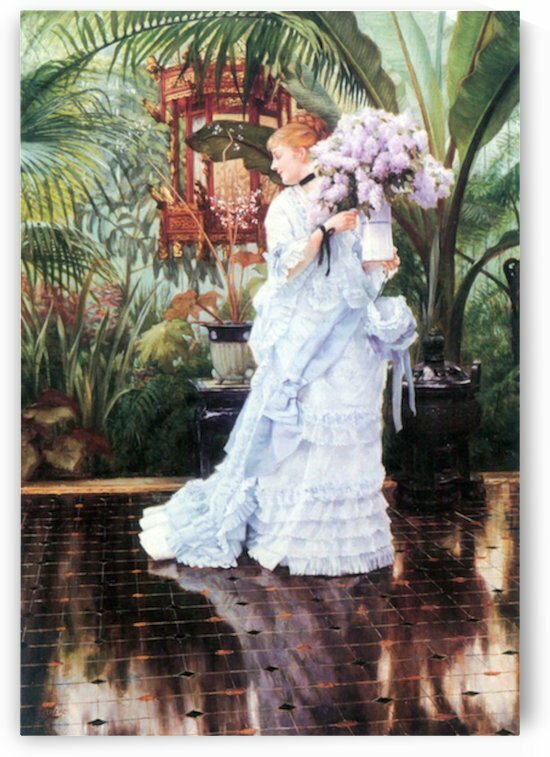 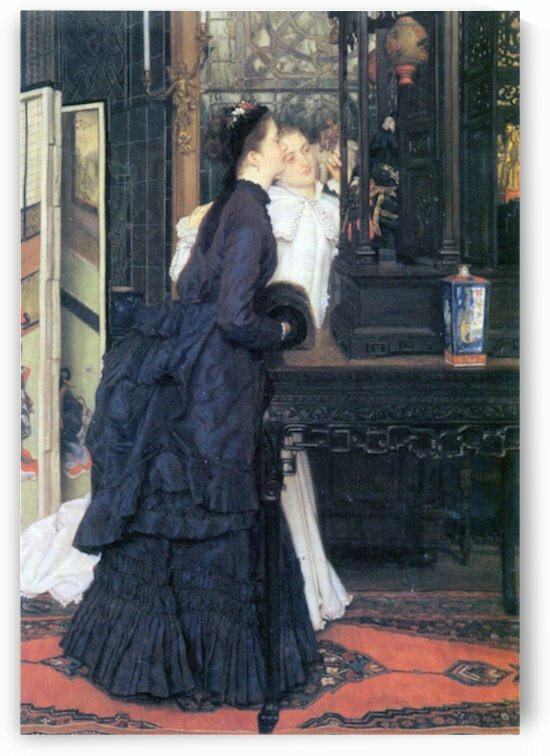 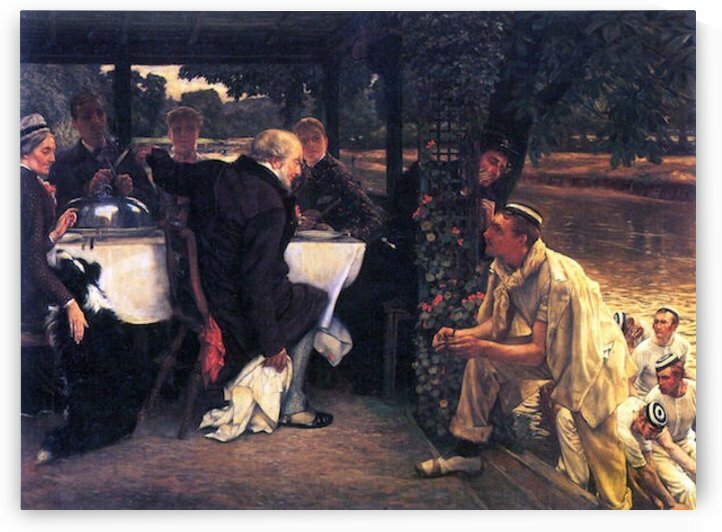 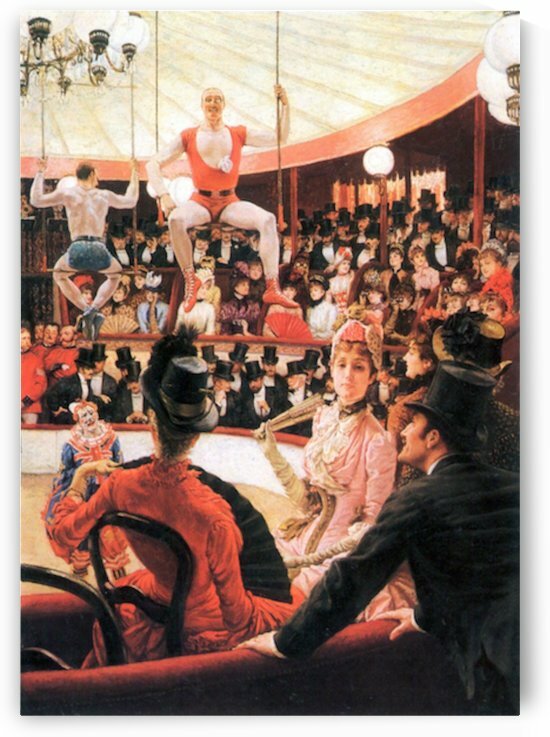 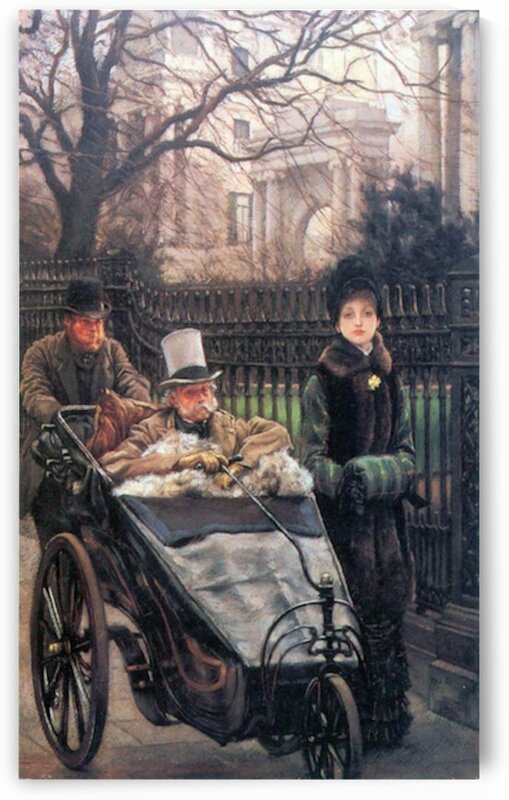 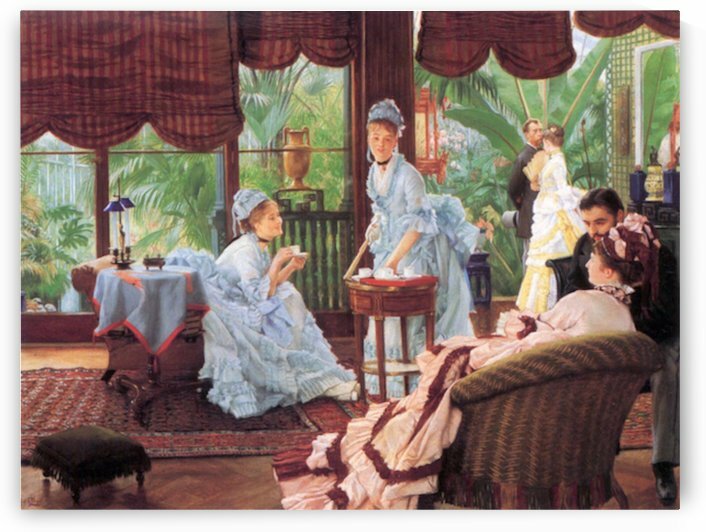 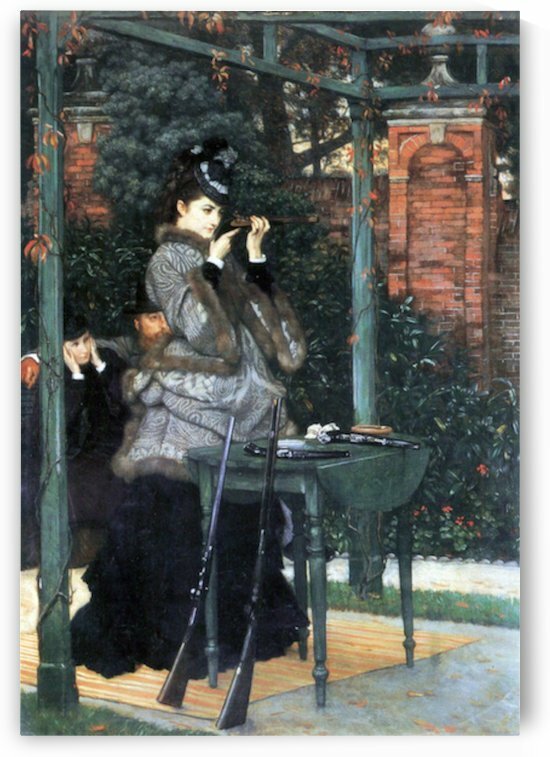 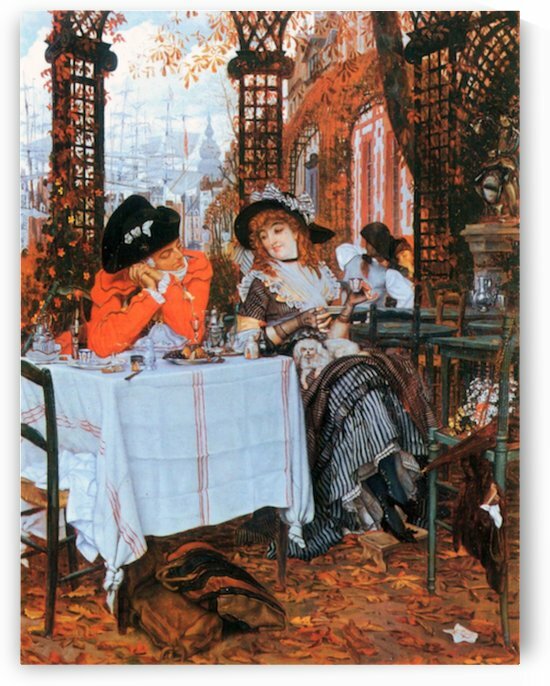 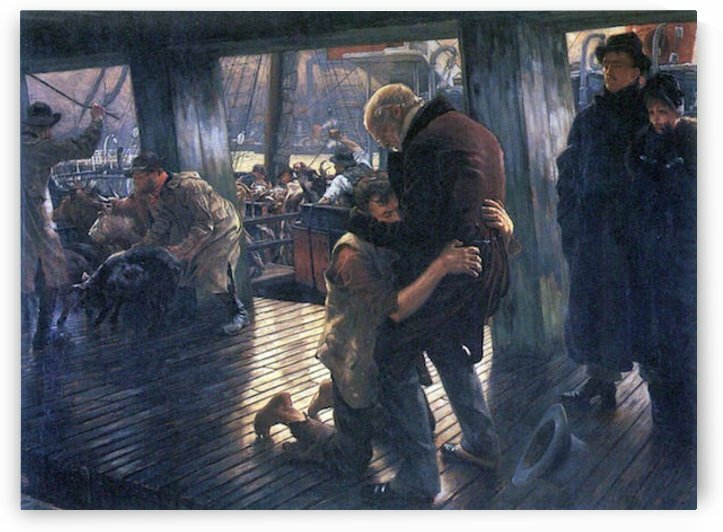 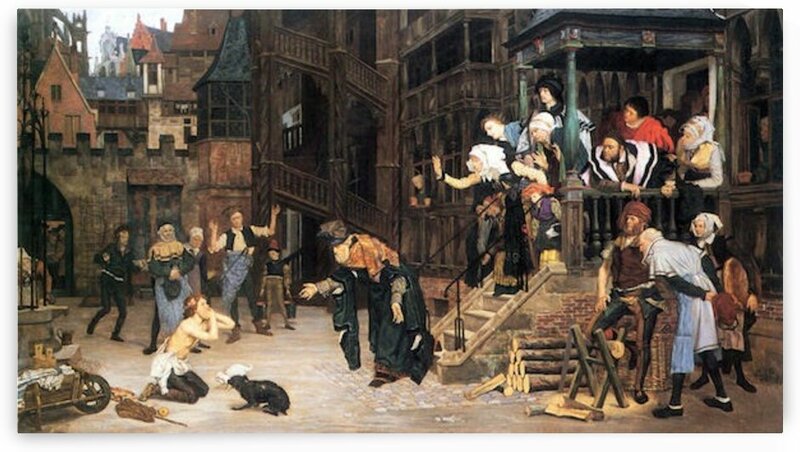 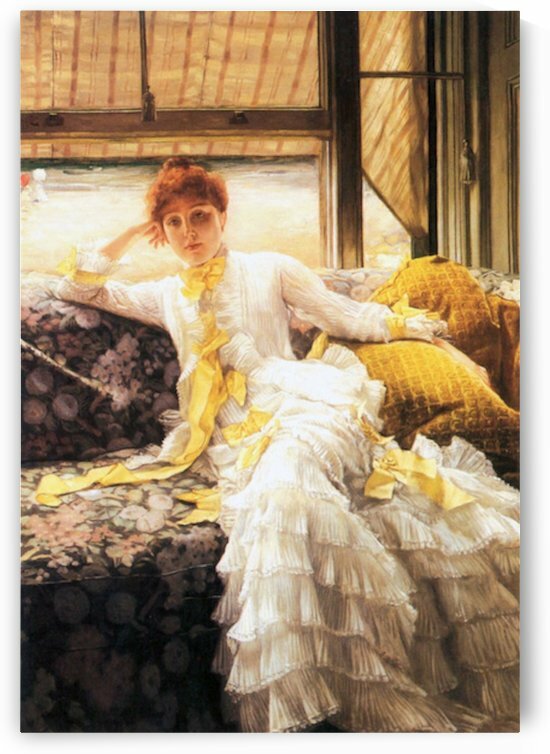 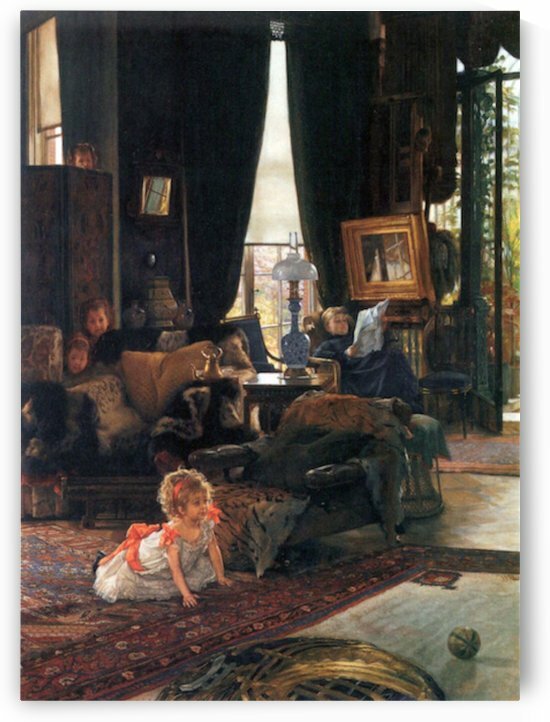 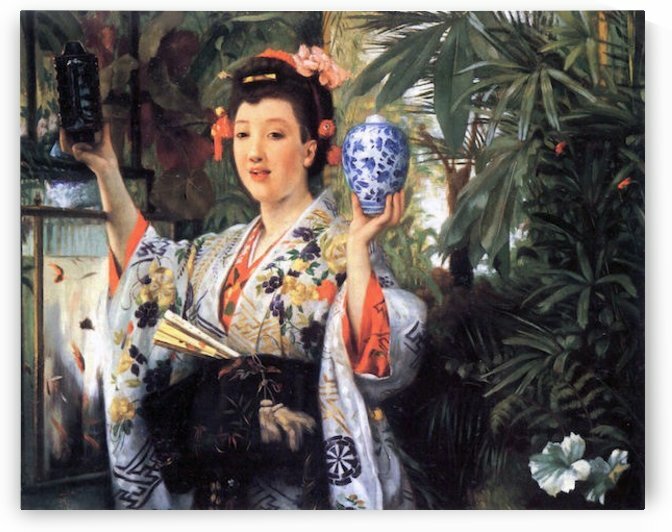 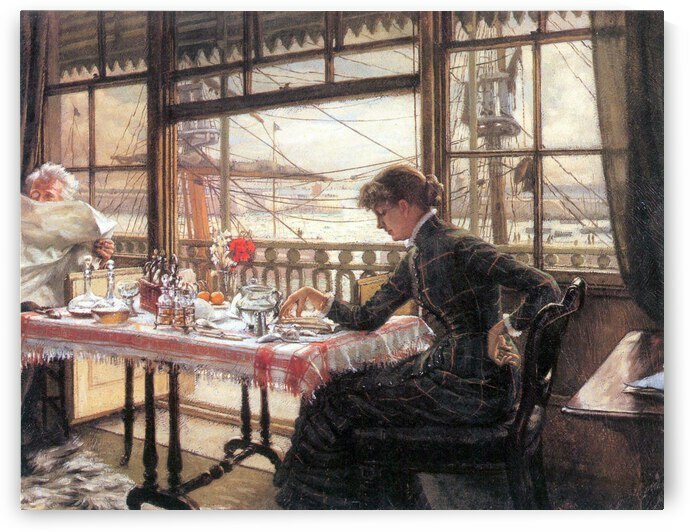 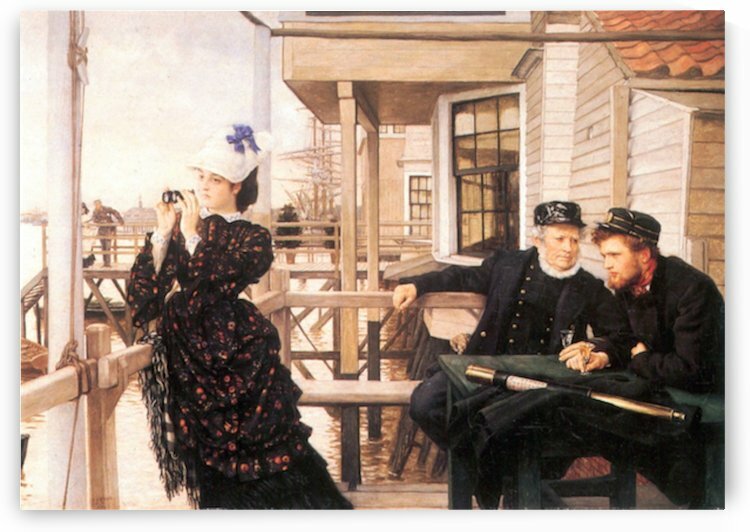 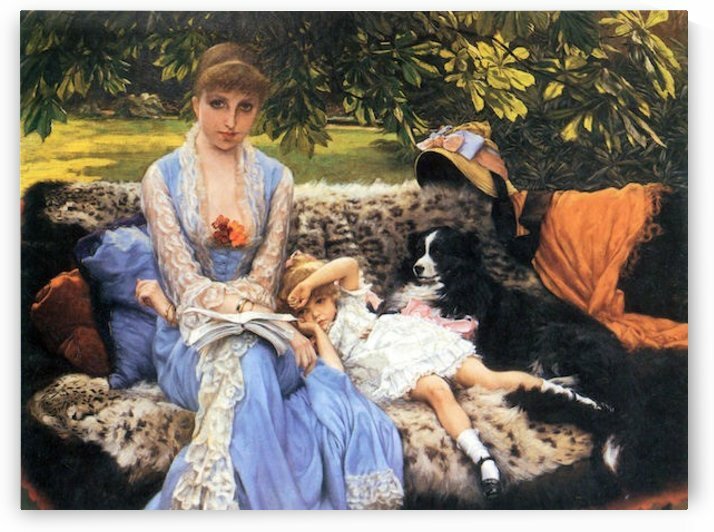 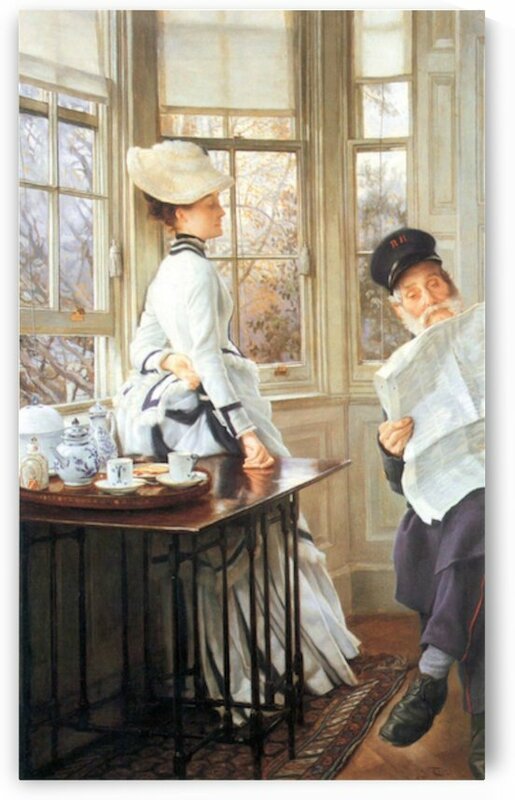 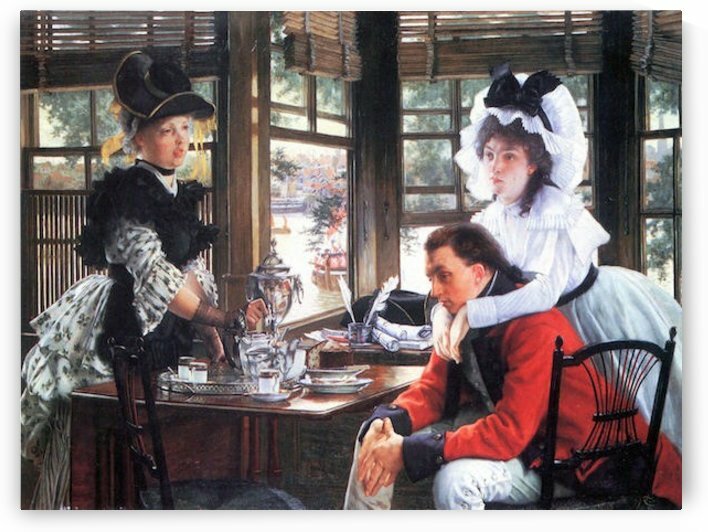 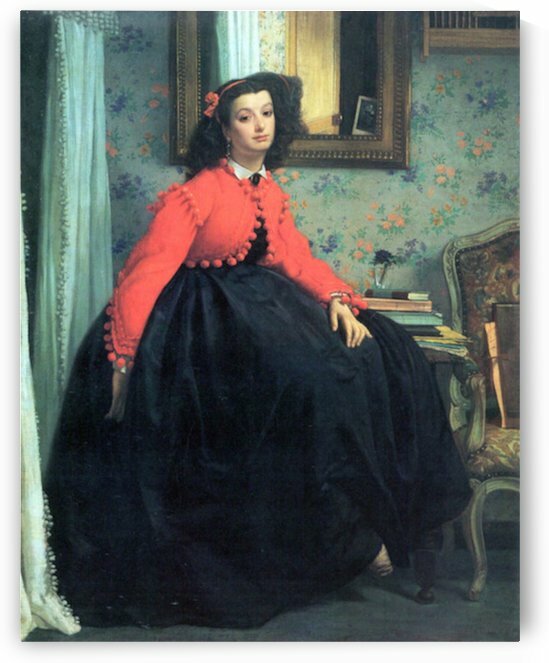 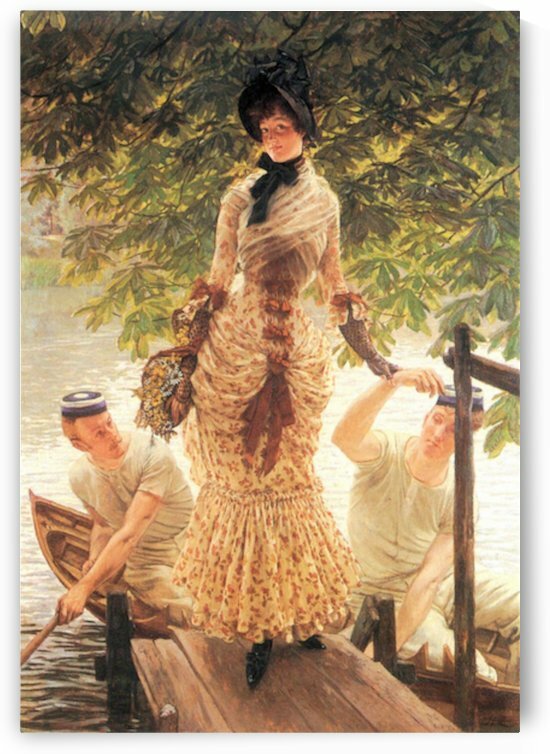 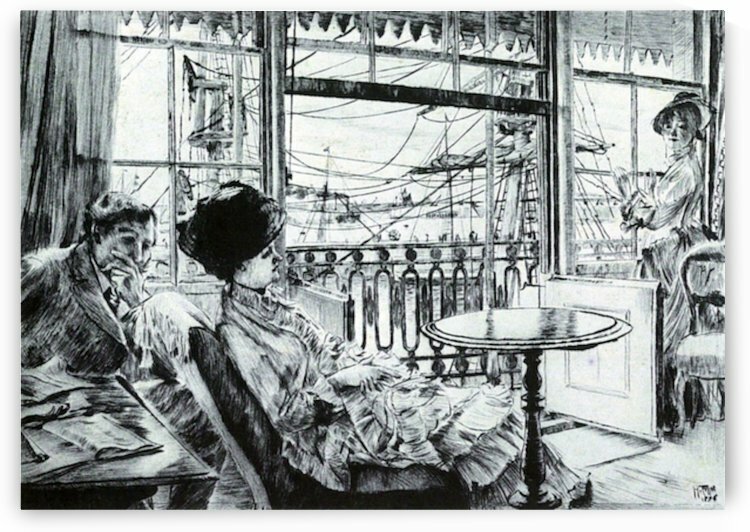 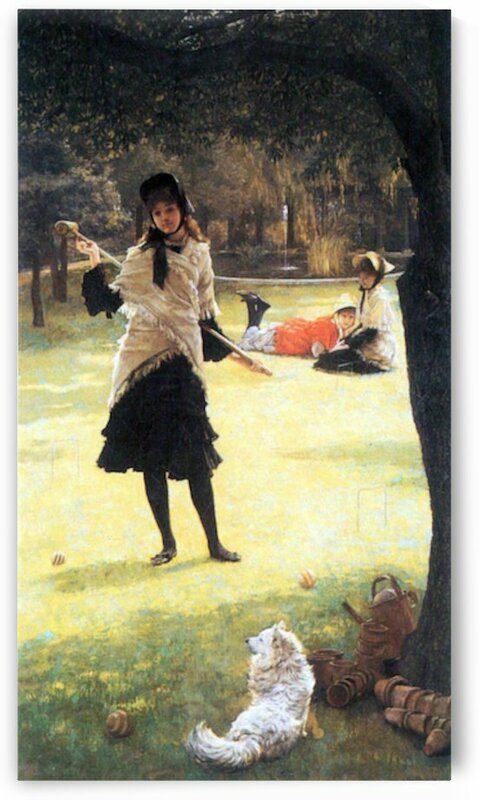 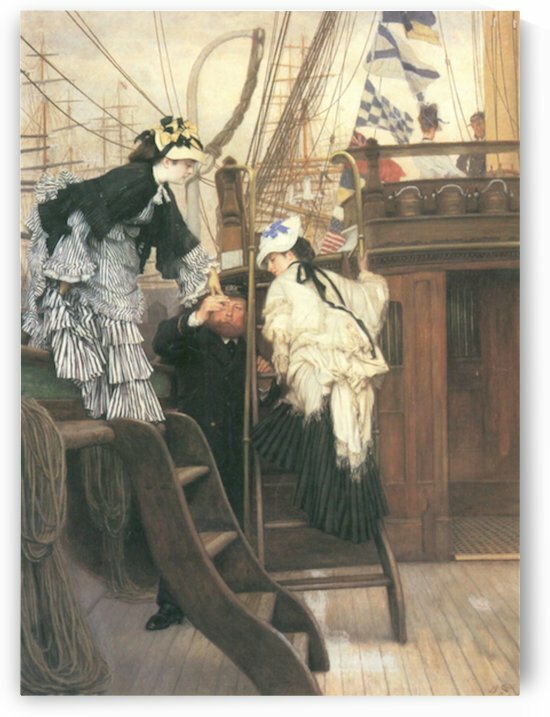 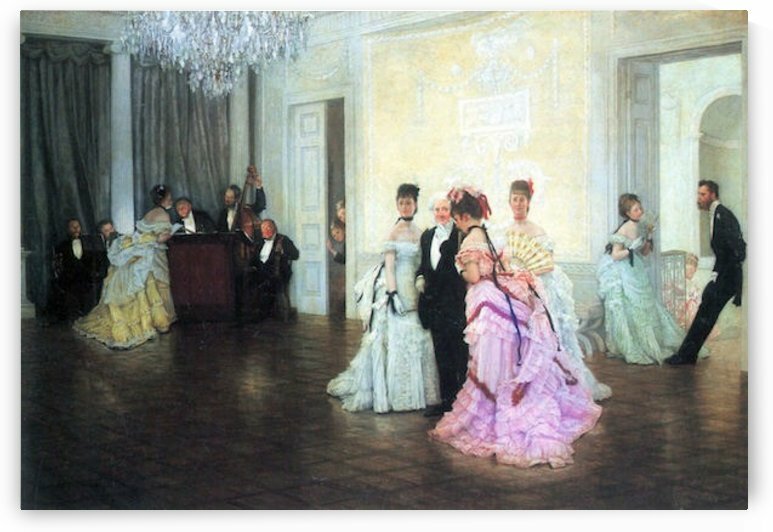 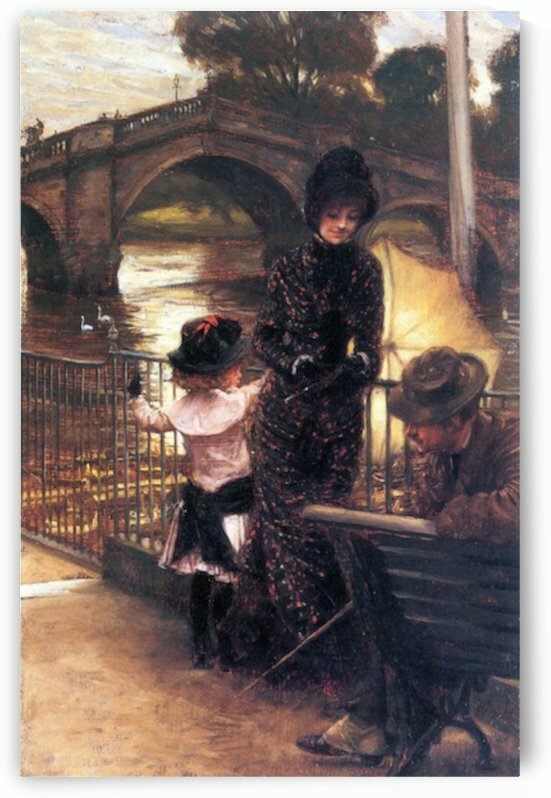 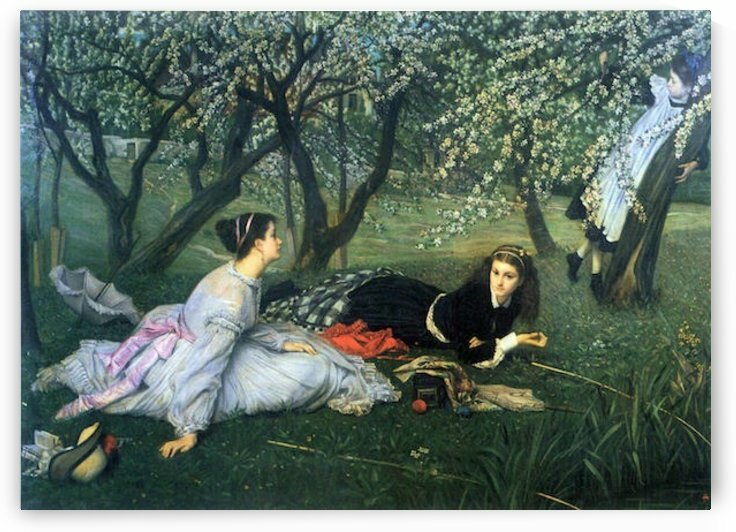 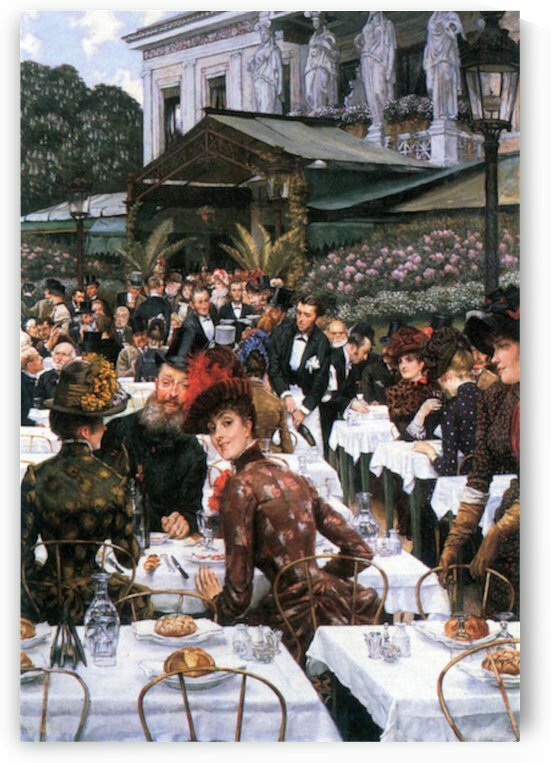 He became famous as a genre painter of fashionably dressed women shown in various scenes of everyday life. 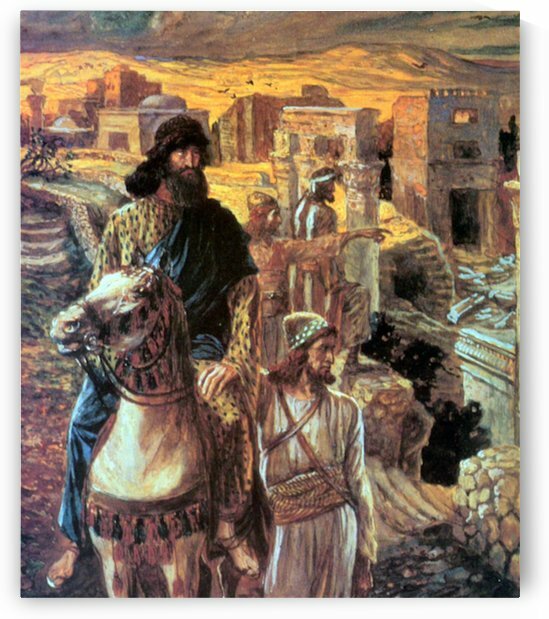 He also painted scenes and characters from the Bible. 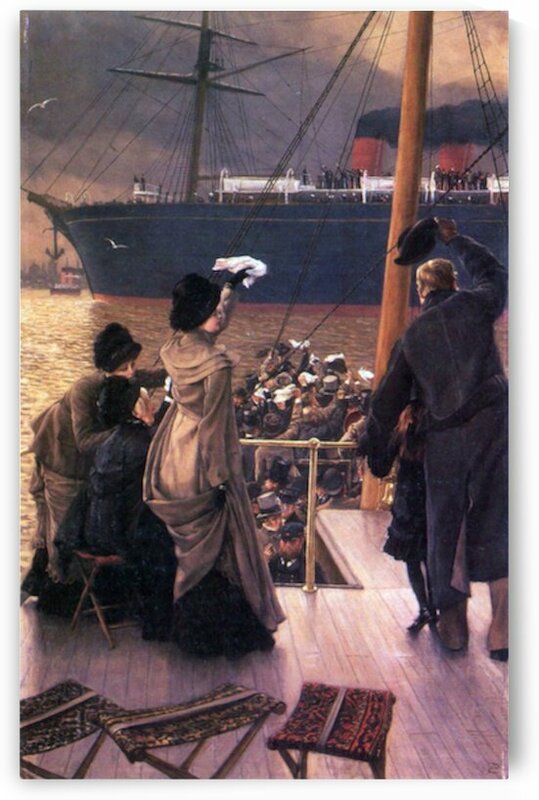 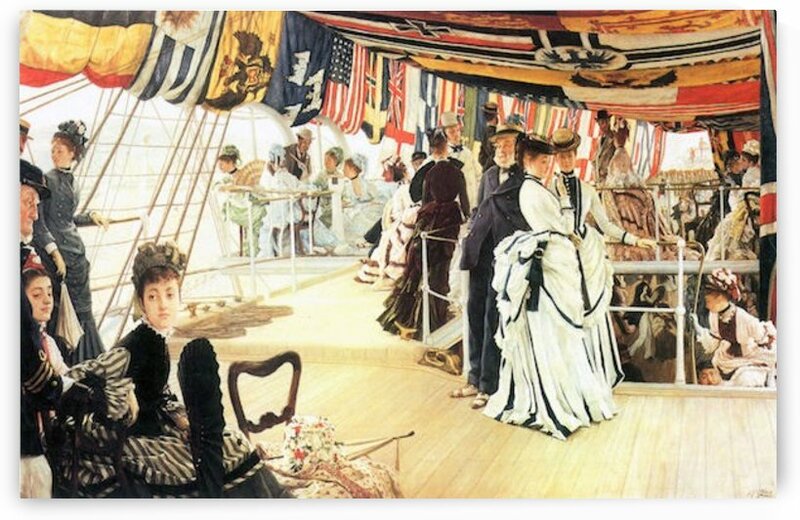 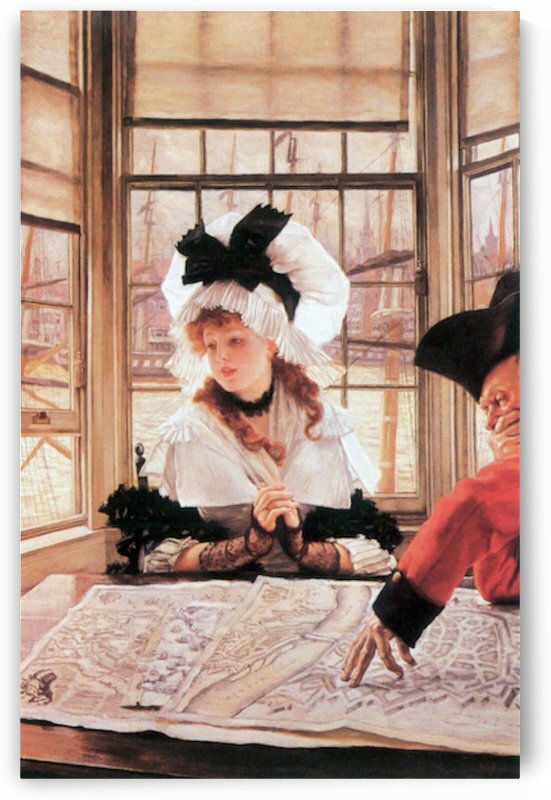 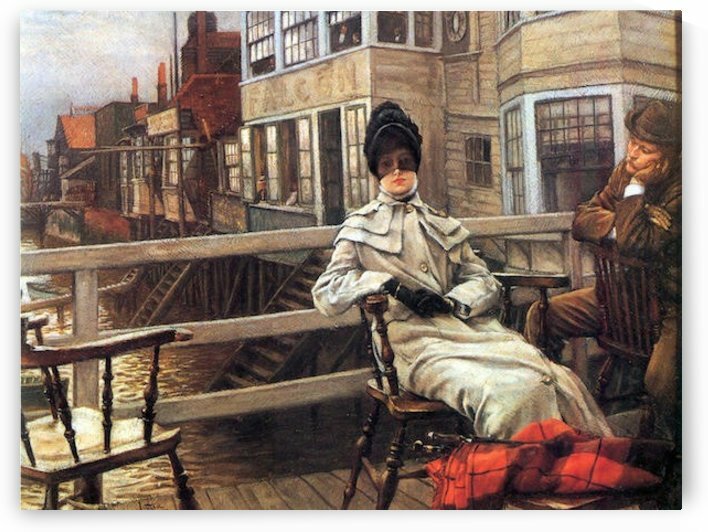 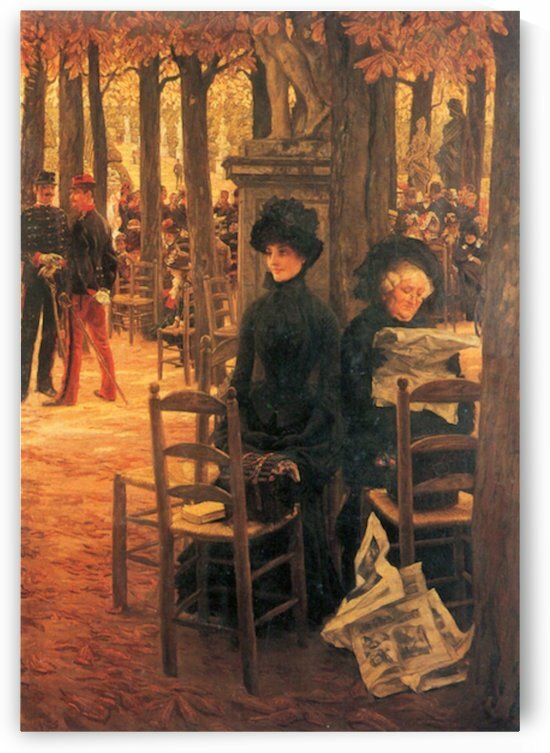 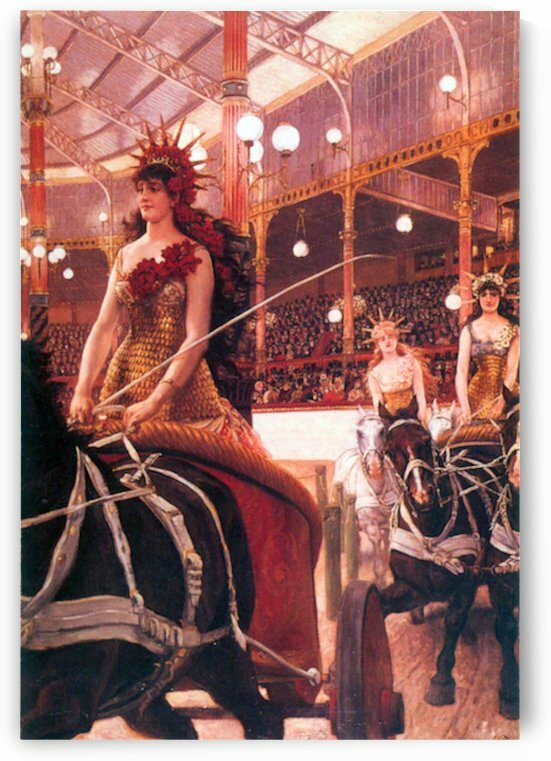 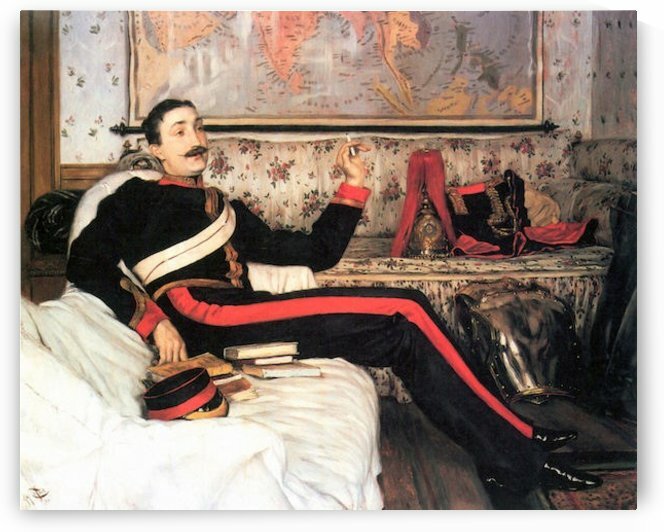 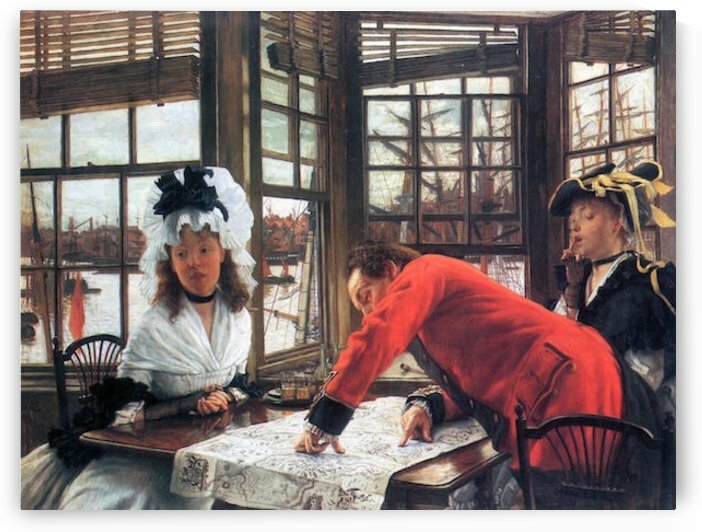 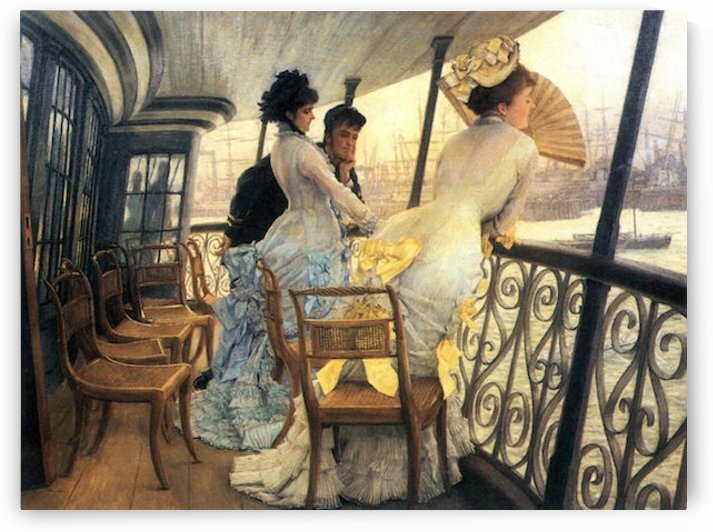 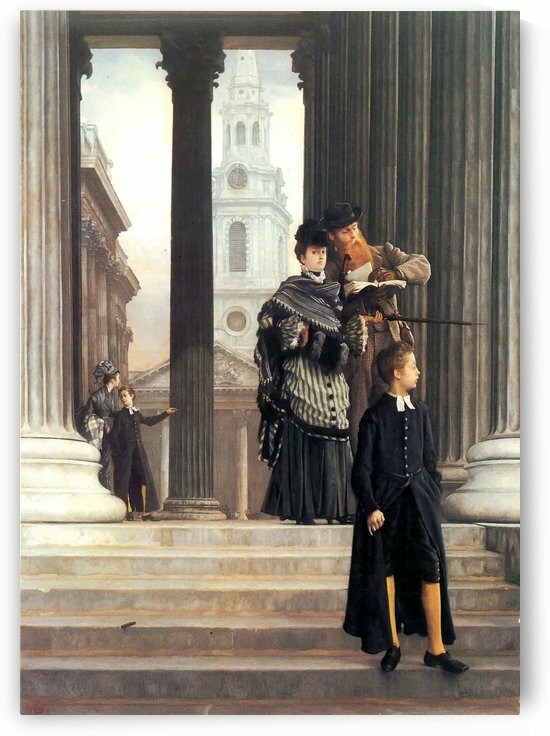 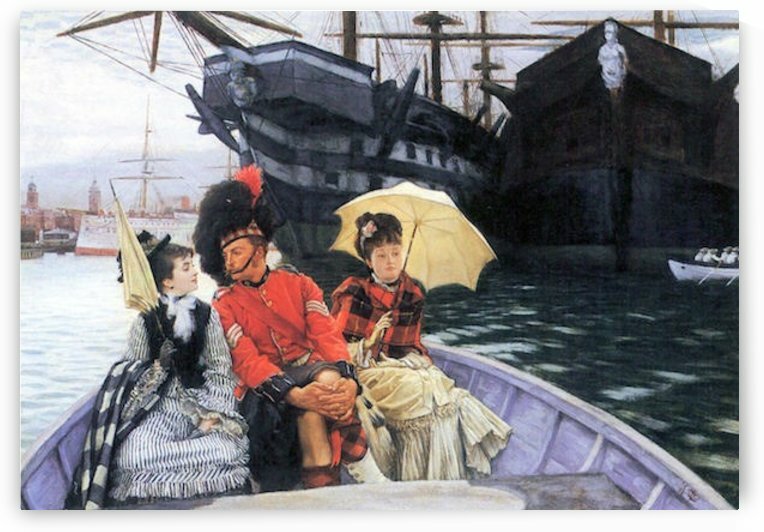 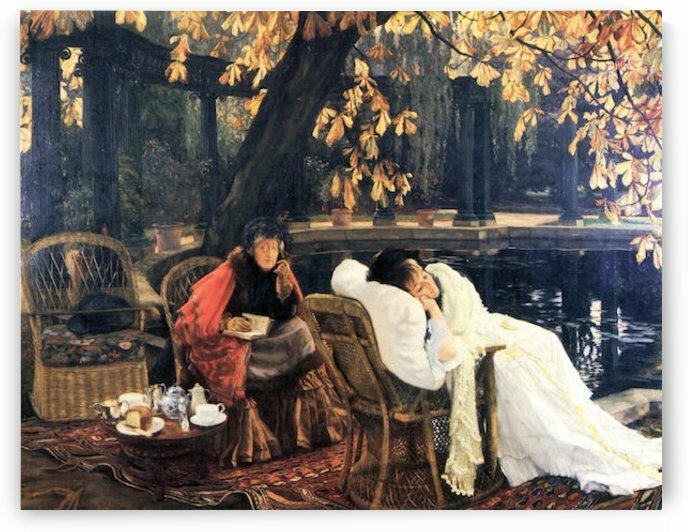 Jacques Tissot was born in the port town of Nantes, France and spent his early childhood there. 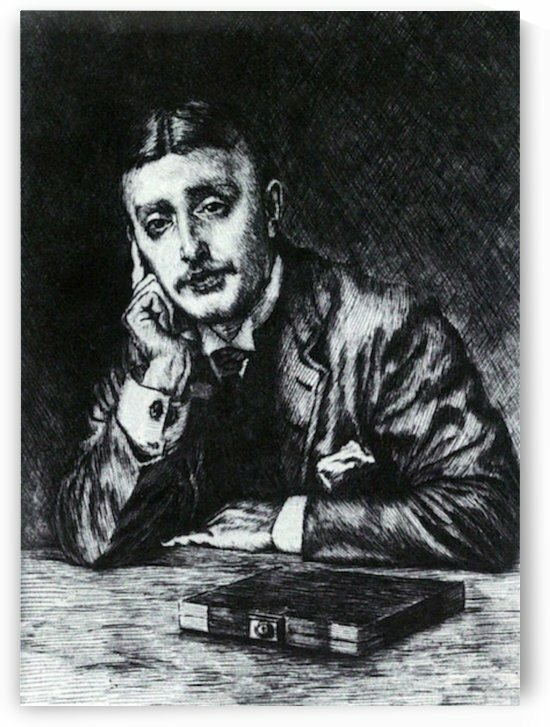 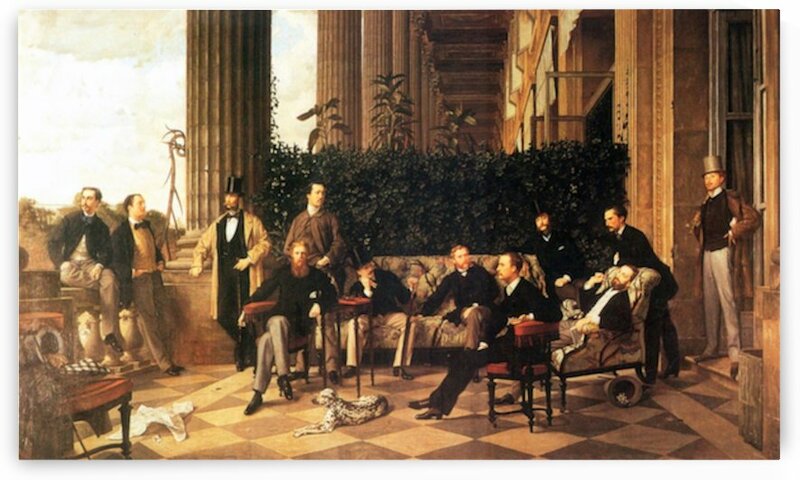 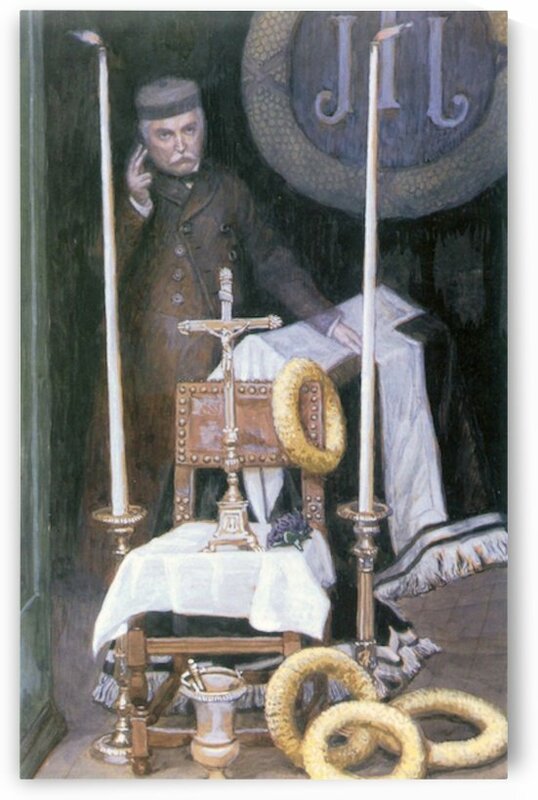 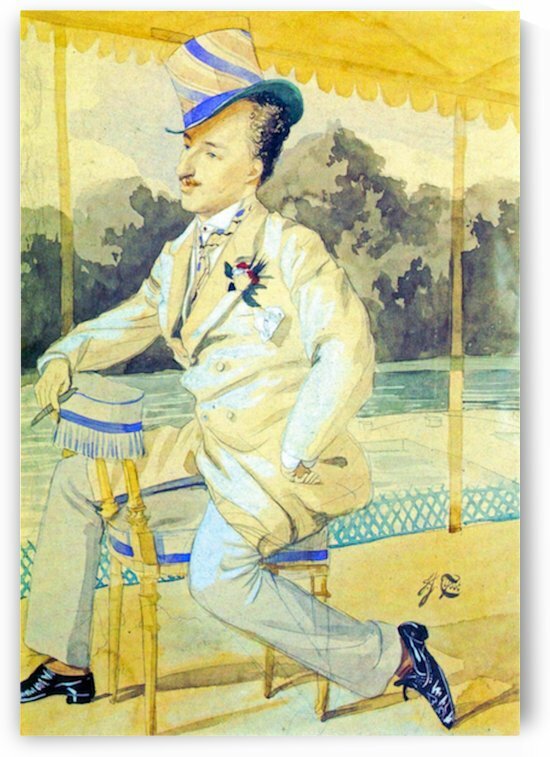 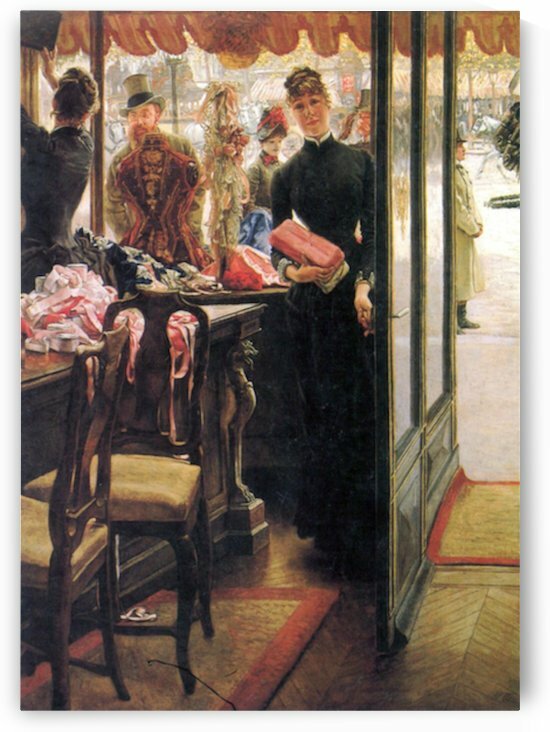 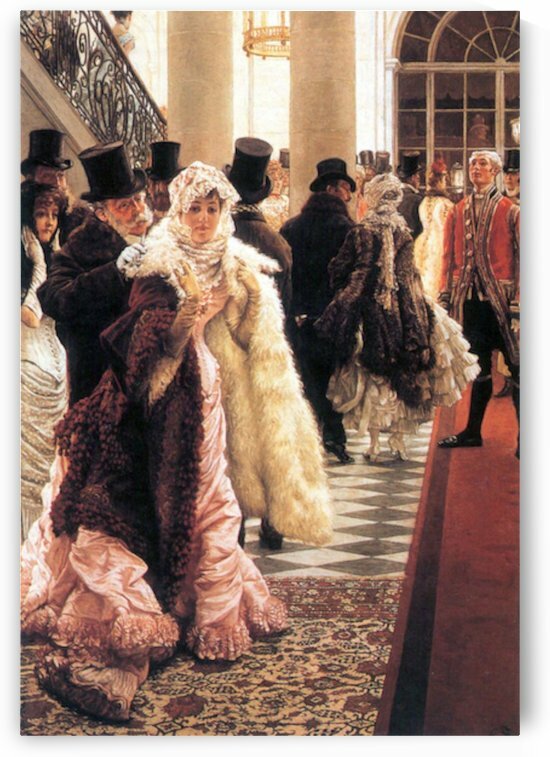 His father, Marcel Théodore Tissot, was a successful drapery merchant. 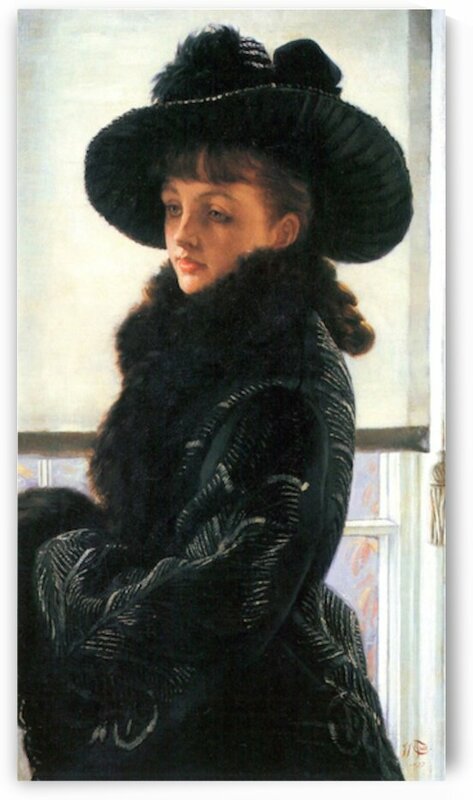 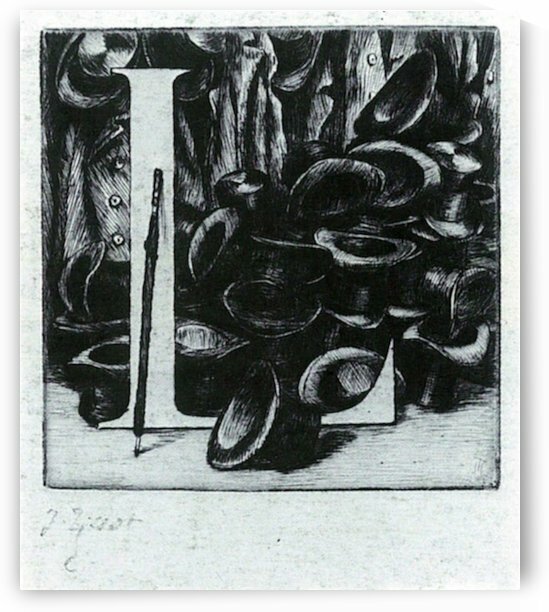 His mother, Marie Durand, assisted her husband in the family business and designed hats. 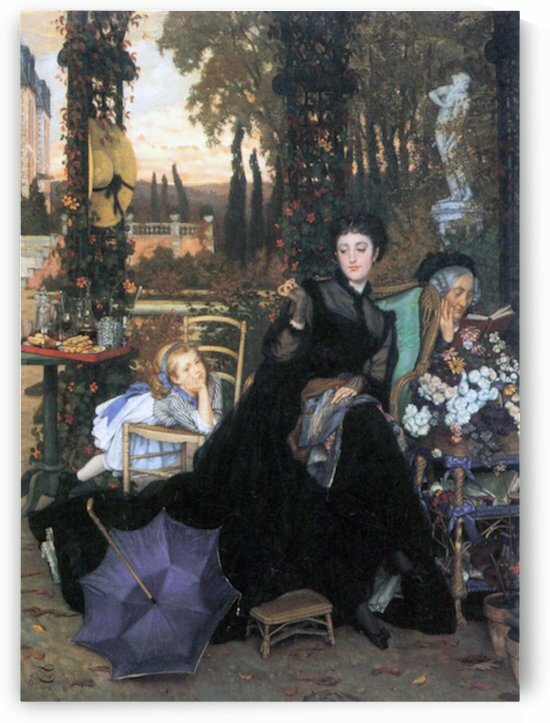 A devout Catholic, Tissots mother instilled pious devotion in the future artist from a very young age. 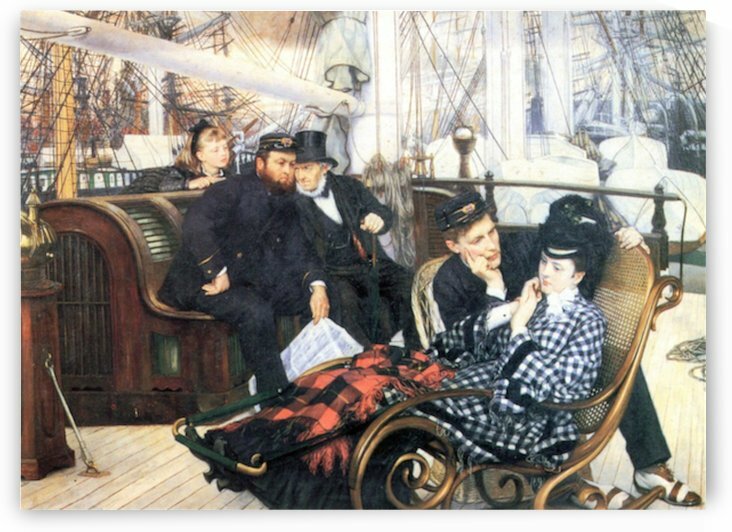 Tissots youth spent in Nantes likely contributed to his frequent depiction of shipping vessels and boats in his later works.